4:16PM: ONE man has sustained head, leg and chest injuries after a B-Double rollover at Gladstone Monto Road at Boyne Valley. The RACQ Capricorn Rescue Helicopter was dispatched to the crash scene to airlift the patient to Rockhampton Hospital. 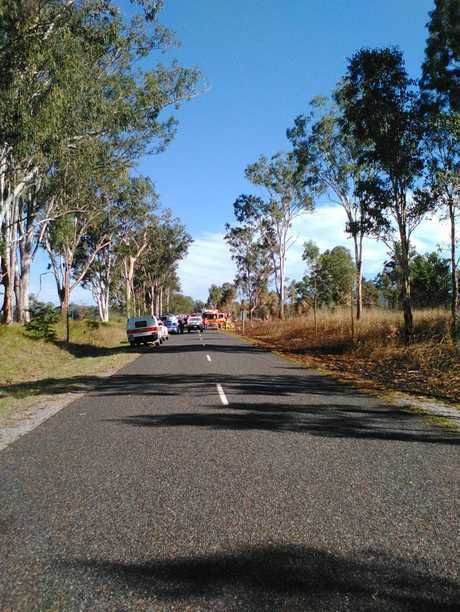 Gladstone-Monto Road will remain closed as police are continuing their investigation. 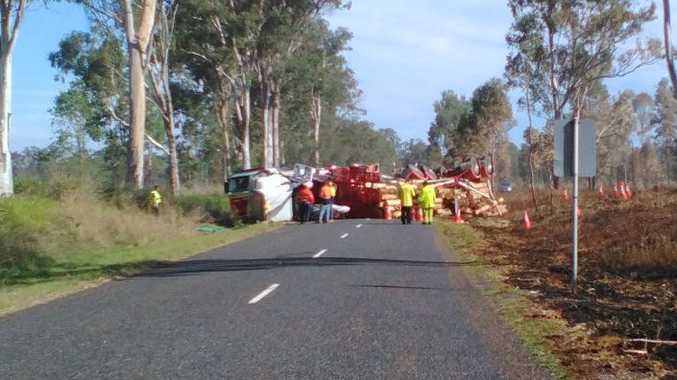 EARLIER: THE Queensland Fire and Emergency Services have responded to an accident involving a B-Double at Gladstone-Monto Rd at Boyne Valley. One person is trapped in the vehicle, and emergency services are currently stabilising the vehicle. Ambulance and police are also on the scene. The road is currently blocked in both directions. This is a breaking news event, more to follow.